Should I Use a Foam Roller? 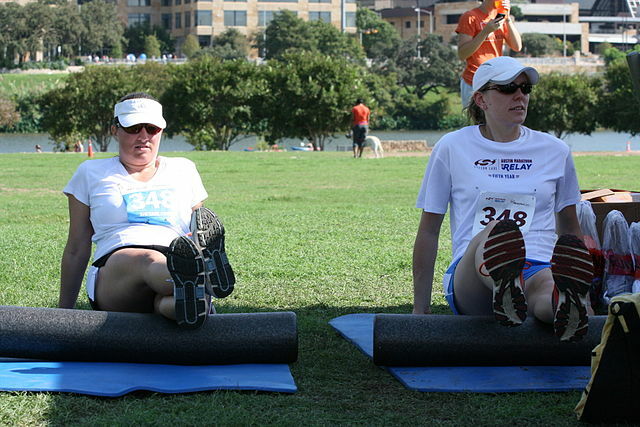 Foam rollers started out as a tool used by elite athletes and strength coaches. Now they are a common piece of equipment in most major gyms. Foam rollers can be used to preform self-myofacial release, which is a type of self massage. Myofacial release is a massage technique that aims to increase blood flow to your facia while reducing pain-causing tightness and inflammation. Facia is a type of connective tissue that is woven around bones, muscles, organs, nerves, and blood vessels. Many top strength coaches like Kelly Starrett and Michael Boyle are fans of foam rollers and say they deliver a variety of benefits. Even though the use of foam rollers is a relatively new innovation, a handful of research studies have found that this new gym fad may live up to its hype. Foam rolling may be able to improve flexibility as well as, or better than, traditional static stretching. Research also indicates that pre-workout static stretching can negatively effect athletic performance. Unlike static stretching, foam rolling will not diminish your athletic performance but can actually enhance flexibility. Foam rolling can help you avoid post work-out delayed onset muscle soreness (DOMS). Studies have found that exercisers who use a foam roller after their workout experience less muscle soreness and discomfort in the day following their workout. Foam rollers may help improve your cardiovascular health. A University of Tokyo study found that participants who used a foam roller on their adductors, hamstrings, quadriceps, iliotibial band, and trapezius reduced their arterial stiffness. If you are interested in the scientific research that has been conducted on foam rolling, read this informative research review by Chris Beardsley. Use your bodyweight to apply a moderate amount of pressure to the muscle group you are trying to massage. Take your time. Move slowly down the length of your muscle. If you find an area that is particularly tense or painful, keep it on the foam roller for 5-30 seconds. Move on once the tight spot has relaxed. If a spot is intensely painful to roll over, try working the areas around the spot until you feel comfortable enough to address the painful area. This video by Eric Cressey demonstrates some basic foam roller exercises. Foam roller exercises are easy to do, effective and feel great. If you have issues with chronically tight and painful muscles or want to recover quickly from your workout, try adding a foam roller to your gym routine.